We have attended many UNLVino events over the years, it is a great way to support UNLV and have some fun as well. 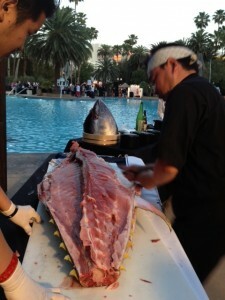 One of the favorite events of the weekend is Sake Fever held poolside at the Mirage Resort’s Tropical pool. This evening sampling delights from the Pacific Rim is a wonderful way to experience not only world class Sake but Beer and of course unbelievable Sushi and Sashimi offerings as well. Upon entering the tropical oasis most Sake Fever veterans start looking for the big star of the night and head straight for it with great haste. 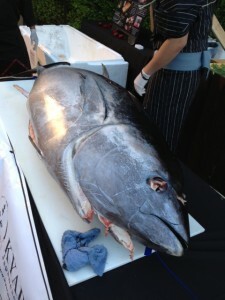 After all, it’s not often you get to watch Master Sushi Chefs break down a $5000.00 230Lb Tuna just flown in for the occasion. These masters of knife skills carefully inspect the Tuna and determine the best way to get the most out of this tasty delight from the sea. Before they do anything, it all about respect for this fish who gave its life for us to enjoy. Sake is poured and a hearty “ Kampai “ to cheer the fish that will soon be on our plates. The Chefs carefully and methodically, just as it has been done for centuries ,cut large pieces of beautiful red meat to be broken down smaller and smaller until it perfectly fits our chopsticks. 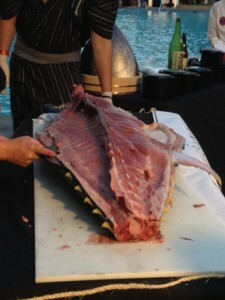 With aromas of the sea in the air, guests enjoyed this wonderful tuna sashimi as it melted in their mouths. A UNLVino Tradition is the Dom Perignon Award of Excellence awarded at each event to honor a person in the Hospitality Industry that has made a great impact on the industry as a whole. At SAKE FEVER the 2013 Dom Perignon Award of Excellence honoree was Chef Masaharu Morimoto who is known to millions as the Star of Iron Chef and Iron Chef America. Upon receiving his award under a perfect starlight sky, the iconic chef pleased the crowd as he serenaded them in Japanese. Guests strolled from table to table enjoying Sake as they sampled traditional dishes from Japonais in the Mirage , the Palazzo’s Sushi Samba, Summerlin’s Poppy Den and Naked Fish just to name a few. For the beer lovers, Asahi ,Singha and Tsingtao were on hand and pouring their best. Sake Fever started out as its own event and not part of the UNLVino weekend. 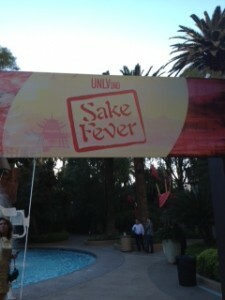 A few years ago Sake Fever joined the UNLVino lineup and has been a huge hit. 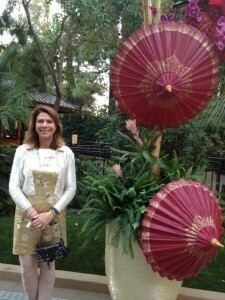 The 39th UNLVino was one of the best ever and we look forward to what the 40th year will bring. KAMPAI! for a job well done. 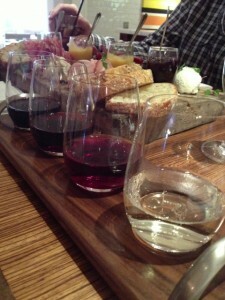 Vintner Grill pays attention to detail with the addition of wine flights and house made artisan cheeses . Chef Matthew Silverman is no stranger to the restaurant industry in Las Vegas. Currently he oversees the culinary direction of one of the leading restaurant groups shaping Las Vegas. He is corporate Executive Chef for the Michael Corrigan Restaurant Group and provides the direction for the company's restaurant line-up including: Vintner Grill, Vintner Grill Strip and the RoadRunner Restaurants. 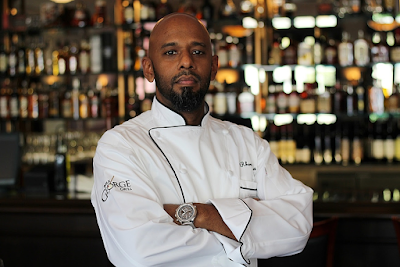 He is also the Executive Chef and Consulting Partner for the company’s advisory firm,Las Vegas Food & Beverage Service Advisors. We sat down with this very talented Chef . He In addition to consulting he has added some new touches to the wine /cheese /charcuterie program at renowned Vintner Grill in Summerlin. 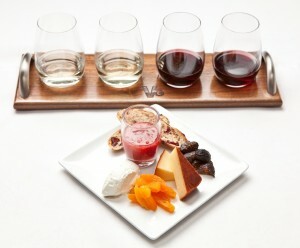 Flights vary in price, depending on the selected wines, and are available every day. In addition to the new wine flights, this Summerlin Favorite offers its renowned “50 under $50” wine menu, which includes domestic and international favorites priced under $50 a bottle. 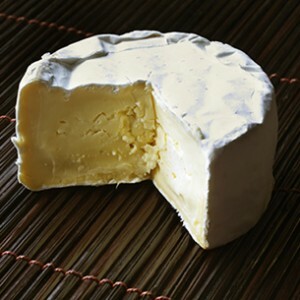 When it comes to cheese, Chef Matthew has long been known as an expert and active as a Chef Ambassador for the Wisconsin Artisan Cheese Council (selected 2008) and actually began to make and age his own artisan cheeses in 2010.As far as we know he is the only Chef in Las Vegas that is doing that. 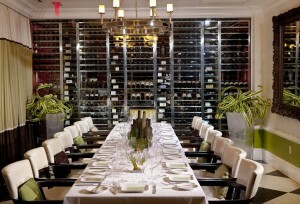 Vintner Grill has been a Summerlin icon sense its inception and there is no doubt that Chef Matthew Silverman and his staffs attention to detail will continue to attract locals and tourists alike for a very special experience that will not be forgotten. UNLVino Expands to 4 days for the 39th Annual Food and Beverage Event April 18-21 2013. 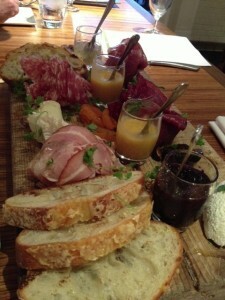 Spring in Las Vegas means one thing for food and beverage lovers, its UNLVino time once again. The theme for the 39th year is ‘FALL IN LOVE AGAIN’. UNLVino provides attendees an opportunity to “take a sip for scholarship “as it pairs UNLV’s William F. Harrah College of Hotel Administration and Southern Wine & Spirits of Nevada to Raise Scholarship Dollars at this long running fundraiser. 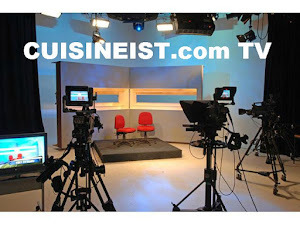 This year’s event should be the most impressive yet as it expands to 4 days of world-class events at multiple venues. The kickoff event is “Bubble-Licious” at The Venetian on Thursday, April 18: 7-10 p.m. This is always a crowd favorite as guests enjoy an evening of exquisite champagnes, sparkling wines and exotic champagne cocktails accompanied by world class cuisine from The Venetian’s celebrated restaurants. The event will take place at Doge’s Palace adjacent to The Venetian’s main porte-cochere under what should be a lovely starlit sky. Just to add to the excitement, Thomas Keller, Award-Winning Celebrity Chef will be honored as a DOM PÉRIGNON award of excellence honoree at this very special event. Tickets are $125 in advance; $150 at the door. 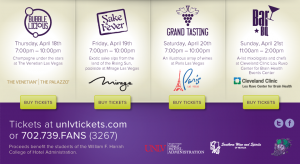 The next day , UNLVino moves to the Mirage Resort for “Sake Fever” Friday, April 19: 7-10 p.m. Sake Fever is one of UNLVino’s most popular celebrations and features authentic and precisely crafted Asian beverages and cuisine. The tropical oasis of The Mirage’s resort pool is an excellent venue to enjoy tasty cuisine and an extensive selection of imported and domestically brewed sakes ,beers and culinary talents of Sushi Masters. Speaking about masters in the kitchen, Iron Chef Masaharu Morimoto will be honored as a DOM PÉRIGNON award of excellence honoree at the event as well. Tickets are $100 in advance; $125 at the door. Saturday brings the main event to the Paris Resort. The “Grand Tasting” April 20: 7-10 p.m. This main event is a Las Vegas tradition and will transform Paris’ Champagne Ballroom into an epicurean paradise, featuring an incredible collection of international wines, specialty beers and craft cocktails complemented with cuisine prepared by UNLV’s talented culinary students and some of Las Vegas’ favorite restaurants. Elizabeth Blau, Celebrated Restaurateur will be on hand to receive a DOM PÉRIGNON award of excellence for her long dedication to the industry. Attendees also will enjoy live entertainment including a special guest deejay. Tickets are $125 in advance; $150 at the door. 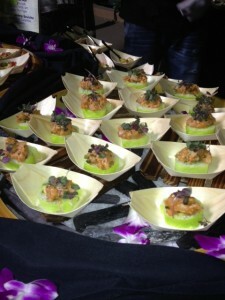 In the 38 previous years the Grand Tasting marked the end of the celebration. The 39th year brings yet another event to enjoy. On Sunday April 21 from 11am-2pm the inaugural “BAR-b-q” will be at Cleveland Clinic Lou Ruvo Center for Brain Health. This highly anticipated “Bar-b-q” will feature a mixology-focused BAR-b-q, featuring cuisine from renowned celebrity chefs Scott Conant, Angelo Sosa and Gustav Mauler. This high end , luxurious event will be elevated with craft-cocktail creations by Master Mixologist Francesco Lafranconi set amongst the awe-inspiring architecture of Cleveland Clinic’s Lou Ruvo Center for Brain Health. . Guests can also indulge with farm-fresh fare from Charlie Palmer Steak (Four Seasons Hotel), Diego (MGM Grand), Fiamma Trattoria & Bar (MGM Grand), Mundo (World Market Center), Shibuya (MGM Grand) and Todd English P.U.B. (The Shops at Crystals). “We are pleased to introduce BAR-b-q as UNLVino’s first mixology-focused event,” said Michael Severino, Director of Marketing & Special Events for Southern Wine & Spirits of Nevada. “Given Las Vegas’ burgeoning mixology scene, the talents of Francesco Lafranconi and a truly extraordinary event venue, we are excited for BAR-b-q to join the ranks of UNLVino’s longstanding, signature events.” This event will also recognize MGM Grand President and Chief Operating Officer Scott Sibella , an alumnus of UNLV’s William F. Harrah College of Hotel Administration and 25-year hospitality industry veteran, Sibella will be recognized for distinguishing himself through inspirational leadership, character and work ethic. From Champagne to Sushi then onto World Class wines and ending with a celebrity Chef Bar-b-q , UNLVino has something for everyone. New this year, we suggest UNLVino’s special $350 wine-lovers “passport” package which includes admission to all four tastings, a savings of more than $100. See you this week at the 39th Annual UNLVino.